Which Who are you? 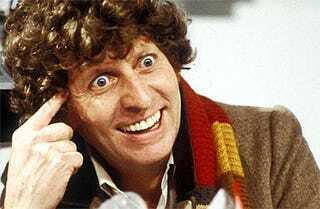 Radio Times has a short quiz that lets you uncover The Doctor you were destined to play. I’ve just had a crack at it and find myself exposed as the Fourth Doctor. You are a terrible influence Tom, it’s all your fault. Wouldn’t it be fun to try this on the Who actors and see if they came up with themselves or another Who. Should you have been Hartnell or Tennant? Baker or Baker? Capaldi or Eccleston?